Exquisite stable of eastern disco weirdness, Disco Halal return with their 17th offering to date enlisting a new artist called Chaim into their executive folk. A Tel Aviv based artist who's output's featured heavily on BPitch Control alongside a plethora of other labels in the past, the tracks displayed here are a curveball from the normally very electronic and tech-house guided missiles contained within his arsenal. 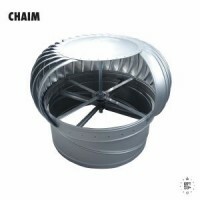 Opening with the minimal tribalism of "Your Mulana" which is both instantly arresting and very much in line with the DH blueprint; Chaim's skillfully segued his style into the label with this well rounded track. Trikk Numero is on hand to offer a cinematic dub which weaves through various evocative passages utilizing a host of live percussion passages alongside more digitized rhythms, think Wolf Muller's remix of Soundspecies and you'll get the gist! Side B contains two more originals: the eastern-tinged sloppy house of "Ventilator" that's strung out on a KDJ-esque bassline; and the bubbling cosmic throb of "Toriaz", further elevated by the kind of juddering, gated vox line we go crazy for here at Picc HQ. Top drawer stuff here from all involved keeping the Disco Halal public grading system at an easy 5 stars.